2100-iSIC Quick Start Guide - NexSens Technology Inc. The NexSens 2100-iSIC (Intelligent Sensor Interface and Control) data logger uses an integrated landline modem and standard telephone lines to transmit data in real-time. 1. Mount the data logger to a wall, pole, or other secure location above flood stage using an A55 mounting plate. 2. Connect the A38 grounding kit wire to the copper lug on the outside bottom panel of the iSIC data logger and the other end to an appropriate earth ground. 3. Power the iSIC by connecting the 12 volt battery. Observe the green blinking LED in the hole at the end of the analog terminal strip. This only blinks for 15-20 seconds during warm-up to confirm that the data logger is powered and ready. 4. Connect sensors to the data logger. See the appropriate sensor interface manuals for wiring and other details. Bring any cables into the enclosure by removing a port plug and installing a gland fitting from the iSIC Kit. 5. To establish the physical connection, run a stripped analog phone cable into the iSIC using a gland fitting. 6. Connect the red and green wires to pins 15 and 16 of the analog terminal strip. The wires may be connected interchangeably. 3. Add the 2100-iSIC to an iChart project file. To accomplish this: Follow the Setup Device Wizard to add a site name, and then select 2100-iSIC from the list of NexSens data loggers. 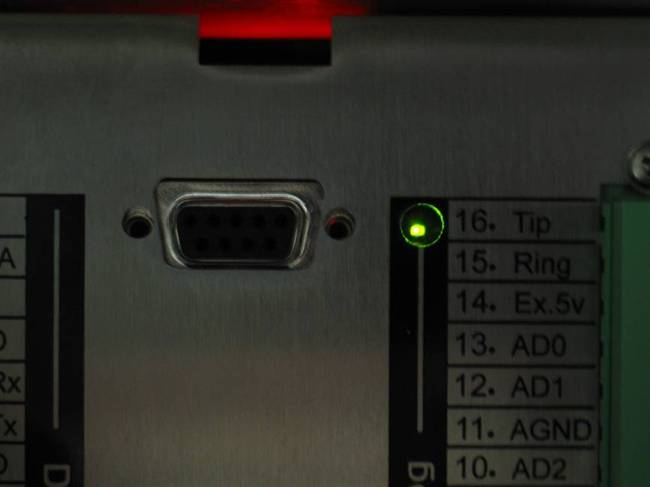 At the prompt, enter the correct phone number and specify which PC COM Port the modem is connected to. Click Test Connection to check communication.